Xavier Toscano is truly a remarkable artist and gentleman. I met Xavier on Twitter. He sent me a few links to his music and I was so impressed by his work that I decided to write a review on a song that Xavier had recently released. Soon after, I received some of Xavier’s promo shirts and in the mail. Wow! Artists really do build a kinship with their audiences through promotional items. I’ve been a fan of Xavier’s work ever since. Recently, I had the opportunity to chat with Xavier Toscano and gained some insights behind the face and music promoted in his work. I think you will find his words motivational. 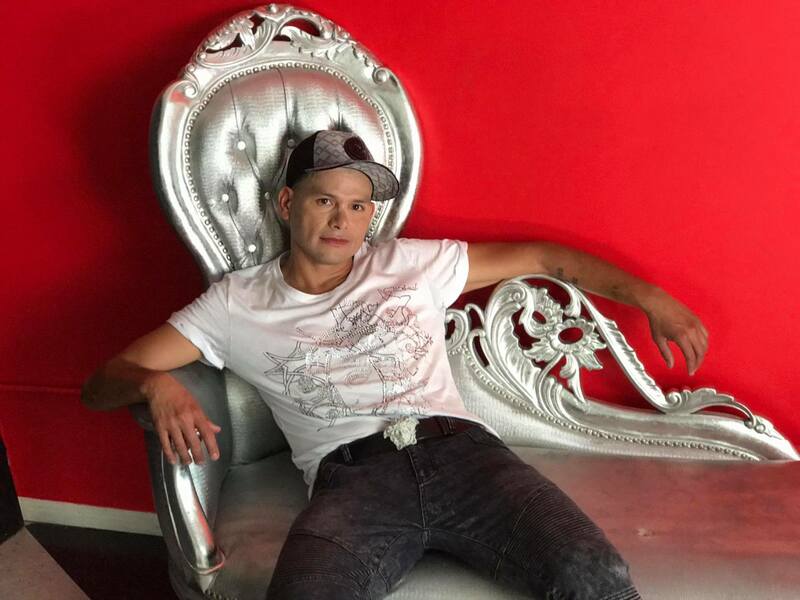 Xavier Toscano’s fan base just got bigger with the release of his single – Never Want To Leave. Warlock Asylum: I would like to start by saying thanks for taking some time out of your busy schedule to answer a few questions and share some helpful insights about your life as a recording artist. Please introduce yourself. Who is Xavier Toscano? Xavier Toscano: Xavier Toscano is a kid at heart with a dream to make it big in the music industry. Warlock Asylum: How did you get involved in music or was it always a part of your life? Xavier Toscano: I think music is a part of everyone’s life, especially in this day and age. I pity the person who does not like music (is there such a thing?)! I’ve always had a love for music since I can remember. Warlock Asylum: What factors led to the decision of making a career out of music? Xavier Toscano: It was a no-brainer… It’s just what I have always wanted to do. Warlock Asylum: What obstacles did you have to overcome in order to make your career in music reach a greater potential? Xavier Toscano: That’s an everyday question. Every day I have to look at what’s in front of me and sometimes adjust, or see where I may need to market. Every day brings new challenges and you definitely have to have an entrepreneur mindset if you want to succeed in music nowadays. Warlock Asylum: In the past, I had the honor of reviewing your songs Never Wanna Leave and Runaway, which I found to be delightful and positive. Your music seems to be centered around the celebration of life. How do you come up with material for your songs? Xavier Toscano: OH MAN! That is wonderful to hear. I really appreciate that. I’m not sure I really know how to answer that because it just comes from within. The stories just develop as I work with the music. Warlock Asylum: Most of the music you have published falls into the category of dance music. What do you find attractive about dance music? Xavier Toscano: Well, I would say my music is mostly Pop (considering the lyrics), but since I have a dancing background, that’s where it gets the dance feel. Warlock Asylum: Where do you see your musical career heading? Xavier Toscano: I have two major goals in life. First – Opening for Katy Perry. Second – Signing a 360 deal with Live Nation. I could die happy then! Warlock Asylum: Are you working on any future projects? Final thoughts? Xavier Toscano: Yeah, I have some music in the oven, and a few videos to go yet. For now, we’re working on promoting the latest video. Thanks! *Once again, I would like to express my appreciation and gratitude for all the gifts you have brought to human society and the music world. Please keep us posted about any future progress!